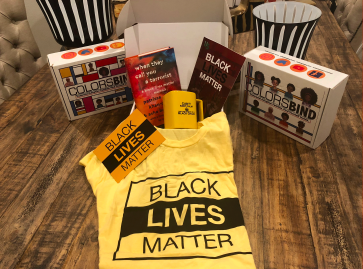 Our COLORSBIND box is an exciting, affirming, monthly subscription gift for a variety of families raising Black children. We understand that what defines family varies as married couples, single parents, same gender loving and elders each parent Black children in homes that are same race, transracial adoptive, bi-racial or multiracial. 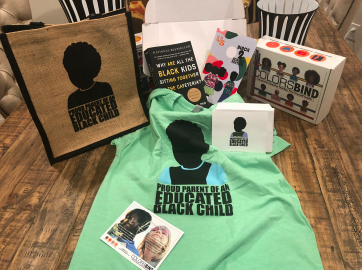 Our box content informs parenting decisions of those who want specific, individualized knowledge about a range of topics that include issues like how to instill confidence in Black children with the outcome of achieving and sustaining high cultural esteem. We realize you don’t know what you don’t know. That is okay, the COLORSBIND box is here to collaborate in your learning. 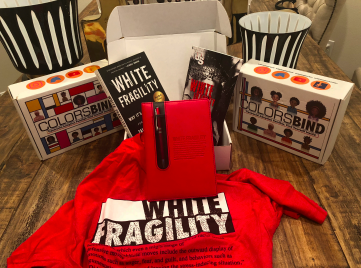 Each COLORSBIND box speaks to your exact needs by providing monthly contents that inform about navigating the challenges of being a Black child growing up in a world of indifference. Each month we outline strategies that help parents devise individualized family action plans toward the empowerment of their children. Use the COLORSBIND box to explore Black culture and history with us. 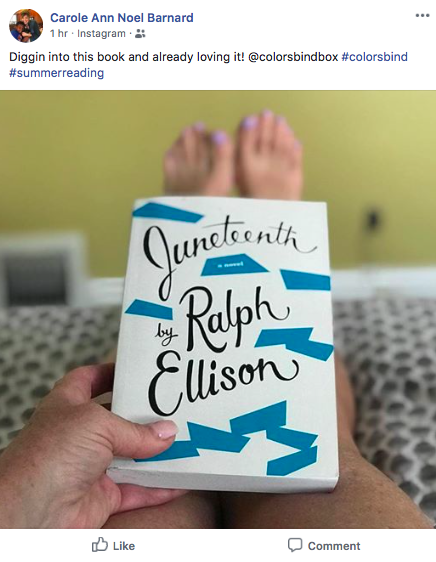 Learn how to respond to racism, along with fun activities that build cultural awareness including food preparation, Black holiday celebrations, arts, games, movies and podcasts. 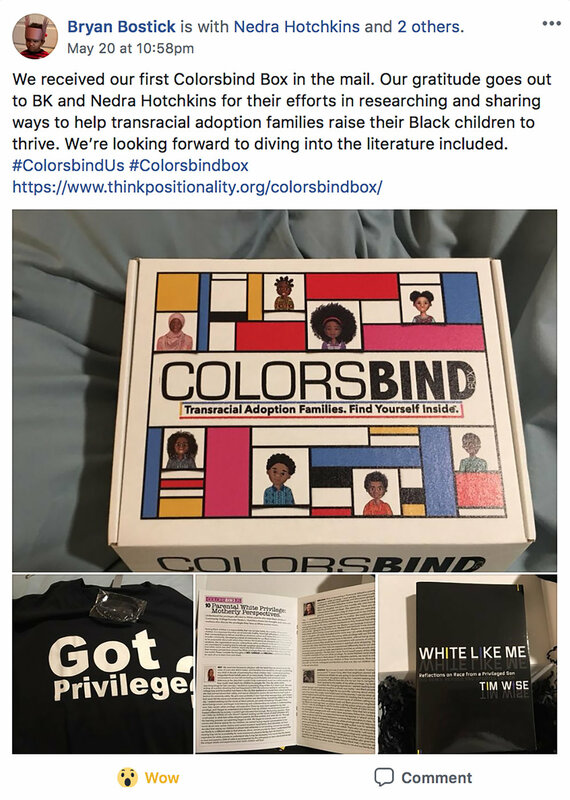 The COLORSBIND box answers your curiosities about what to do and when to do it, plus helps families with parental self-image, holistic child rearing, and aspirations to seek Black cultural knowledge. 5) See pictures of previous COLORSBIND boxes below. You can cancel or change your preferences at any time before the FIRST of each month. We are currently gathering information from TRA families about their interest in signing up for our upcoming COLORSBIND BOX monthly subscription service. THIS IS OUR MISSION CARD EXPLAINING THE COMMITMENT WE HAVE TO FAMILIES RAISING BLACK CHILDREN!